Have you scheduled electrical maintenance inspection for the new year? The year old 2018 is over already, and as we move into the new year it is time to schedule appointments for many things such as a yearly physical, car tune-up, or a vet visit for your pet. It is also a great time to book an electrical maintenance inspection for your home or business. A vital part of ensuring that the electrical needs of your home or commercial property are up to local code and regulation, safe from fire and electrocution and running smoothly are regular electrical safety inspections. Electrical inspections fall mainly under 3 categories, although there are specialized types of inspections for specific situations. The first type of electrical inspection is called a "Rough-in Electrical Inspection". This is where all of your wires, electrical panels, boxes and conduits will be inspected. A professional electrician will look to be sure that all of your wires are intact and that any fire hazards near your panels or conduits are eliminated. Secondly, there is a "Service Inspection". In a service inspection, the electrical service panel will be inspected to be sure that everything is properly installed, fastened and grounded. Without the proper grounding of a panel, electrical shock can build up causing a huge risk for fire and electrocution. We refer to this as an "Electrical Safety Inspection". Lastly, there is a "Final Inspection". After everything is inspected following an installation, breakers and circuits will be inspected for replacement or any need for new installation, followed by your inspector conducting various trial runs to ensure the effectiveness and safety of your entire electrical system. Electrical inspections are vital whether you've lived in your home for many years, or you are just in the process of purchasing a home. The electrical system behind the walls is something that is commonly and very dangerously ignored. Catching an electrical issue from wiring to the danger of surging early on can save your family an enormous risk both financially and physically. 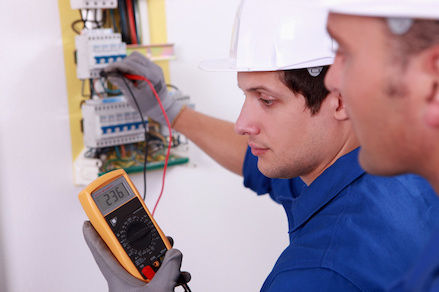 No matter the type of inspection you need, you can put your trust in the hands of the professionals at John's Electric to get the job done right the first time. The service and professionalism was exceptional. They responded in a timely manner and had our problem resolved quickly. I highly recommend John's Electric !